This month in PrestaBay module we focused on small features development in Startup & Professional version of the module. Bellow, you can find changes highlight. Your feedback will help us improve our product and help other buyers make the best possible choices. We will appreciate any feedback that you can give, positive or negative. PrestaBay — PrestaShop ebay Integration module now allow you create "Custom Item Specific" inside Selling Profile and Category Mapping. You need to provide a name of Item Specific and it's value. If one name already exists in normal pre-defined specifics, data will be rewritten with custom. 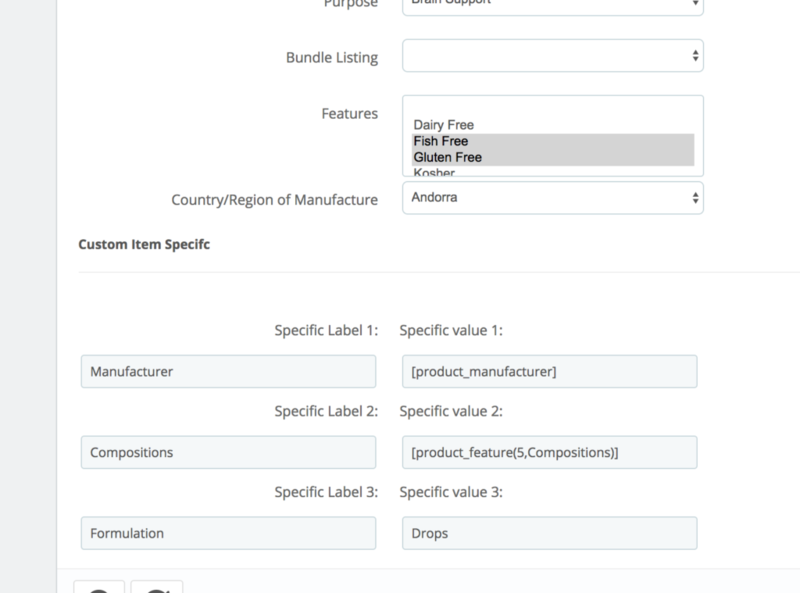 The module allows you specify any custom variable inside value, the same way as you can do inside Description template. Experimental feature available for both version of module. Ebay allows submitting only 3 different attributes for multi-variation listings. If your product has more you will get an error. The only solution for this excludes some attributes from ebay export. In order to do this with PrestaBay you need to open Selling Profile => "Product" tab. Into corresponding filed define all comma-separated attributes that you want to export. When PrestaShop product exported to ebay all matched attributes will be ignored and QTY will be added to another group. All ignored attributes will be put an Item Specific. So in our example product will have specific: "Color: Blue, Red"
One is most awaiting improvement/bugfix for Category Mapping. Now when you press on "Edit" button for existing "Category Mapping" row you will not need to re-select Item Specific defined before. All data (except Item Condition) will be set automatically.